Most people receiving objections to a request consider it a conversation ender. Some become defensive, others become angry, and others will simply move on. However, successful individuals have a different perspective: they see this as a conversation starter. Objections are bound to happen, whether it’s in sales negotiations or discussing marketing options. Regardless of your role, being able to overcome objections increases the probability of achieving your objective. In fact, it’s better to receive an objection rather than a hard “no” as it is a sign of genuine interest. 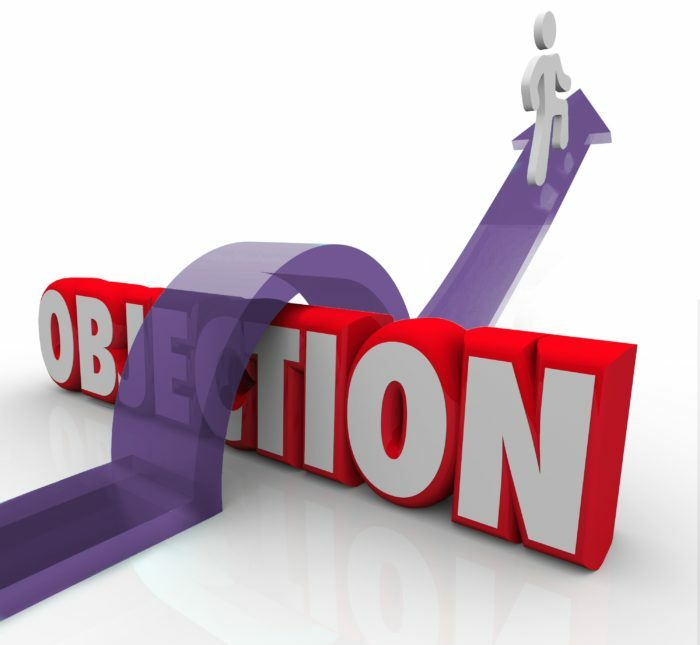 Here are three tips to help you easily overcome objections. Upon hearing our request is being rejected, our natural response is an emotional one. The intensity of our response depends on our personality and the value we assign to achieving our goal. Losing a major sale will have a greater emotional impact than someone not having a spare pen for us. Regardless of the situation, we need to stop the surge of emotions and remain objective. To do this, it’s important to first recognize our emotional response. How do we feel and what about the response caused us to react this way? Was it the way they said it or am I reading into it because I’m under pressure? From here, we are now able to evaluate whether our response is going to support us in achieving our goal. Either way, we have now given ourselves options which helps in keeping us objective. What specific concerns do you have about the product? Can you help me understand what your thoughts are? Is there more information you can provide me? We want to avoid asking “Why” questions as they can be perceived as accusatory, which is not going to help us! What I hear you saying is “….”, is that a fair statement? I’m not familiar with that acronym, can you explain it? Has a “recent event” impacted your ability to achieve your “objective”? How do you currently address this challenge? The answers to these questions will guide what actions you take. It may lead to recognizing more resources are needed on a project or understanding the constraints preventing you from receiving a raise. In sales, having the client assign monetary or performance values to their pain point (root of the objection) creates a sense of urgency to purchase now. You may also realize that today is not your day and you are not going to achieve your goal. If I can demonstrate in 5 minutes how my approach will be successful, would you be open to hearing more? If “objection” was no longer an issue, would you be interested in exploring this in more detail? Would you be open to hearing some alternative options that allow us to both achieve our goals? Regardless of the outcome, we want to leave the situation on a positive note. Business today is done through relationships after all! We’ve already turned a “no” into a “maybe” and we want the other person to feel comfortable. Recognize that it takes time for both parties to build trust and develop a relationship. Once again we want to thank them for their time and willingness to share. Identify a time to revisit the topic and be sure to keep in touch with relevant information such as articles or recent trends. Do not use these touch points to push for your objective! Next time you hear an objection, get excited about the opportunity!